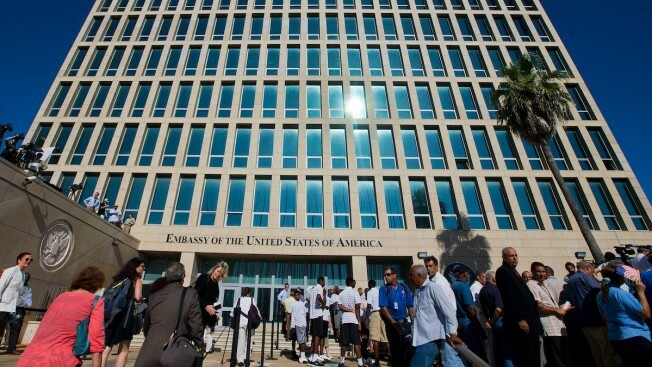 The US Embassy in Havana, Cuba, before the start of the flag raising ceremony, Friday, Aug. 14, 2015. The United States on Thursday renewed calls for the Cuban government to determine the source of health "attacks" on U.S. diplomats in Cuba that have affected some two dozen people. Cuba again denied any involvement or knowledge of any such attacks. Cuba has denied any knowledge of the source or cause of the incidents that have sickened at least 24 diplomats since late 2016, leaving some with brain damage. Two other diplomats suffering similar symptoms in Cuba were sent to medical specialists at the University of Pennsylvania for evaluation, U.S. officials disclosed last week. Cuba says it has been informed of only one other American that has been evacuated and that it was informed on May 29th that the incident had occurred two days earlier. Carlos Fernandez de Cossio, the top Cuban official at the talks on Thursday, told The Associated Press that his delegation had objected to the U.S. description of what had happened to the Americans as "attacks." He noted that neither American nor Cuban experts had been able to determine what caused the symptoms. He renewed concerns that the Trump administration is using the incidents as an excuse to roll back U.S.-Cuba rapprochement started under the Obama administration. "We challenged them on the use of the word 'attack,'" he said in an interview. 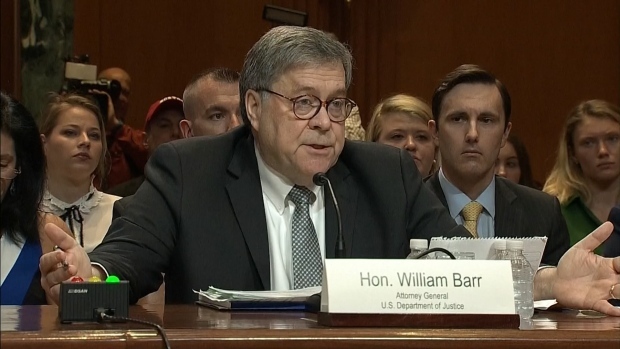 "There is no evidence of a weapon, there is no evidence of a source, nobody can point to motivation and yet they continue to use the word 'attack.' We see it as politically motivated." In a statement, the Cuban foreign ministry said it urged the U.S. government "to desist from the continued political manipulation of the alleged health cases." Its delegation also demanded the lifting of what it described as an "arbitrary" travel warning which it said hinders scientific, academic, cultural, religious and entrepreneurial exchanges, and visits by Americans. The potential new cases in Cuba have come as the U.S. has begun issuing health alerts to Americans in China after a worker at the U.S. Consulate in Guangzhou reported symptoms and strange sounds and was flown to the U.S. That worker was then medically confirmed to have "suffered a medical incident consistent with what other U.S. government personnel experienced in Havana, Cuba," the department has said. The confirmed Cuba patients have been found to have a range of symptoms and diagnoses including mild traumatic brain injury, also known as concussions. Unexplained sounds and vibrations that accompanied the symptoms initially led investigators to suspect a sonic weapon, though an interim FBI report in January said no evidence had been uncovered that sound waves could have damaged the Americans' health, the AP has reported.